To make an ad-hoc donation through our preferred channels please click on either the Virgin moneygiving or Paypal images above to be taken through to the relevant sites to make your secure payment. There’s now a new and easy way for you to help us raise funds for Downright Special - simply by shopping online! Easyfundraising.org.uk is a shopping directory that features some of your favourite online stores, including Ebay, Amazon, Interflora, Easyjet, Apple Store, iTunes, NEXT, Boots, M&S, British Airways, Debenhams, John Lewis, Dell, Toys’R’Us, HMV and over 600 others. All you have to do is use the links on the www.easyfundraising.org.uk site whenever you shop online and, at no extra cost to you, we'll receive a free donation of up to 15% from every purchase you make. It really is that simple! It’s completely FREE TO REGISTER and use and you still shop with each retailer in exactly the same way. Many retailers even offer additional discounts and money saving e-Vouchers when you shop using easyfundraising.org.uk. All you need to do is visit www.easyfundraising.org.uk and register selecting Downright Special as the organisation you wish to support. You still shop direct with each retailer as you would normally, but simply by accessing your chosen online shop from the links at easyfundraising.org.uk first, each retailer will make a CASHBACK DONATION of upto 15% to Downright Special. Will I pay anything extra? No. You pay exactly the same prices as if you visited each retailer's website directly. Using easyfundraising.org.uk will not cost you a penny more than you would pay normally. It seems very generous, but remember when you buy online costs are much lower. As there's no shop, salesperson, heating, electricity, rates, not even the cost of the bag to put your goods in, retailers are more than happy to help good causes when 'online' customers access their websites through the links on www.easyfundraising.org.uk them. Downright Special is now registered on Amazon Smile! Calling all friends and family members. 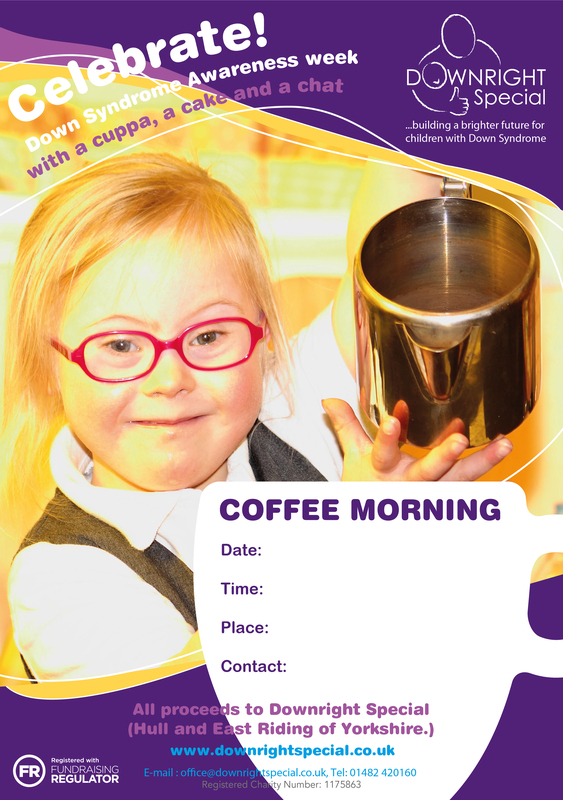 Why not have a coffee morning or a tea party to help us raise awareness around Downs Syndrome. Down Syndrome Awareness week takes place on 19th-25th march and what better to celebrate than over a coffee or a tea and maybe even some home baking or chocolate goodies. As a charity we rely on the vital support of generous people and their fundraising in order for us to do the job that we do. 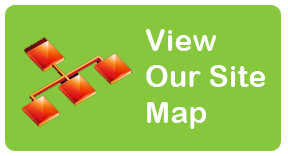 You could see if your place of work, or any business, would make us their chosen charity for the year. Ask if any businesses would fund match an event you have organised. Last, but not least, you could just make a voluntary donation. Either sign up to VirginMoneyGiving or download our sponsor form. • Volunteer your time for any supermarket bag packing events we might organize. • Donate prizes for future raffles. We are extremely grateful to everyone who has already helped us by fundraising and we look forward to hearing from new fundraisers.